This kit of supplies provides everything you need to grow one healthy large larva (you may later require more substrate depending on stage/species). - Substrate: 2.5 litre of specially imported fermented wood from the far east. - Comprehensive care manual: A Rhinobeetle special edition. 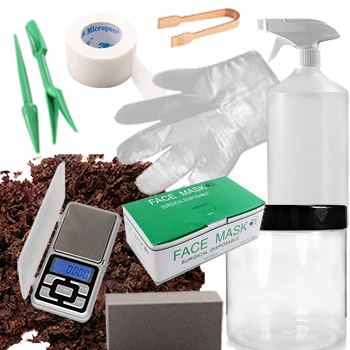 All of the items are available separately in the shop but this convenient kit gives a 10% price discount (10%) to help you care for your beetle larvae.